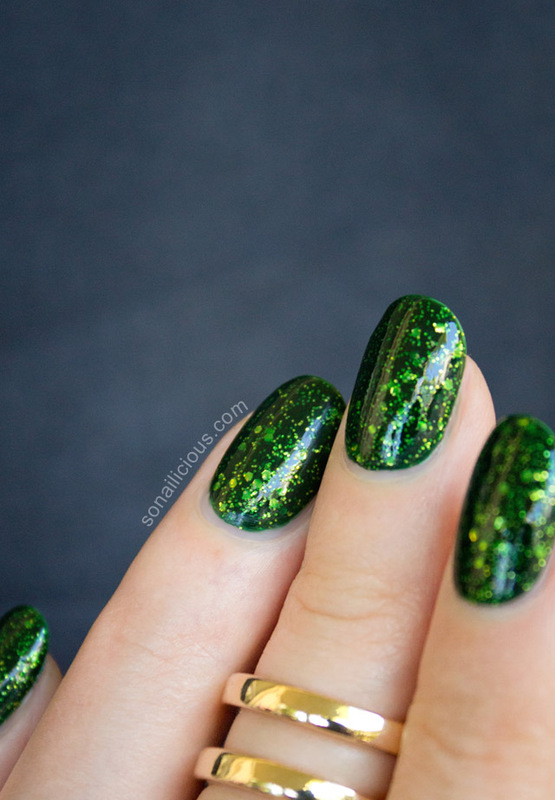 Think green nails are not for you? Well, maybe we can change your mind. Check out the new limited edition Illamasqua Destiny! Launched to celebrate 2014 Chinese New Year, this shade represents “new life that leaves bring to a bare wooden bark in the spring”. The polish is a tasteful combination of gold and lime glitter in a green jelly base and is truly a one of a kind, beautiful nail shade. 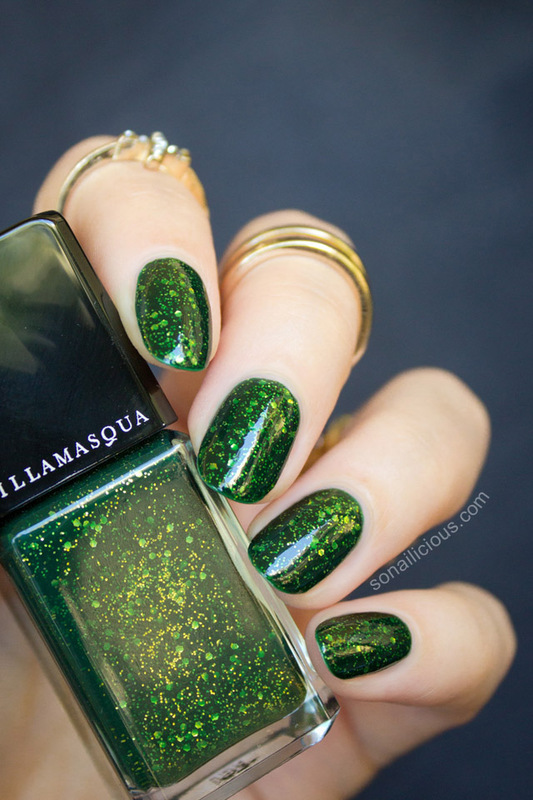 Plus, it is only available in Australia which makes Illamasqua Destiny even more unique. Coincidentally, we’ll be celebrating Australia Day this weekend and green is one of our traditional colours. 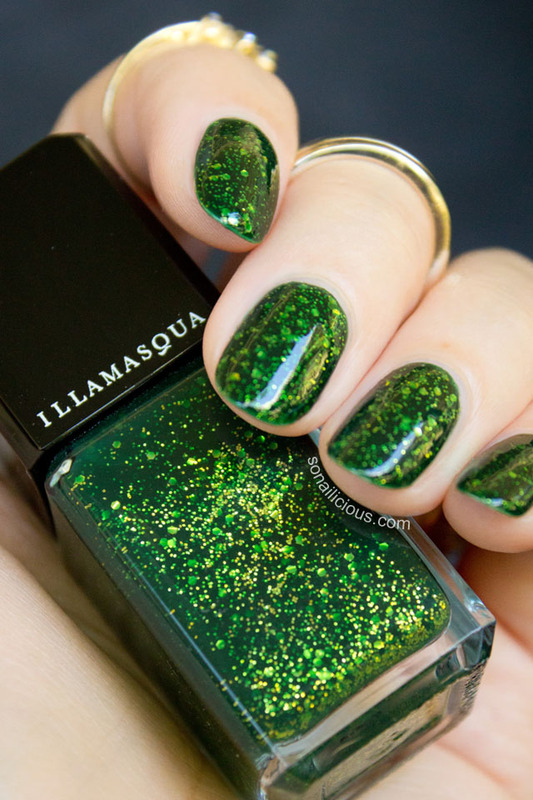 So yep, creative brains at Illamasqua killed two birds with one stone by releasing this shade. Whether you’re celebrating Chineese New Year or Australia Day, this shade will be spot on. How does this new varnish perform? Read our full review below. Formula: Very thick & easy to apply. Also fast drying, & 3-free. Application: 1 coat will ensure full coverage. We applied 2 coats as an experiment. No major difference – 2 coats just look a bit darker than 1 coat. Finish: Fine and hexagonal gold and lime glitter particles in a grass green jelly base. High density of glitter in this nail polish makes the surface very bumpy and uneven, so it is recommended to apply 2-3 layers of a high gloss top coat to even it all out. 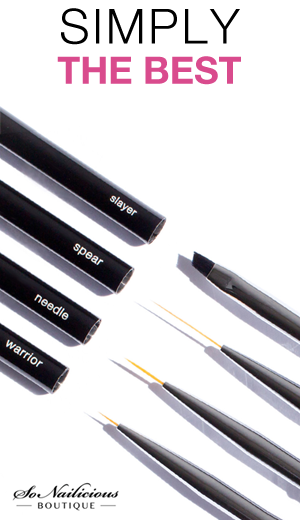 Brush: Soft brush, easy to use. Wearability: With a top coat it lasted 3 days chip free. 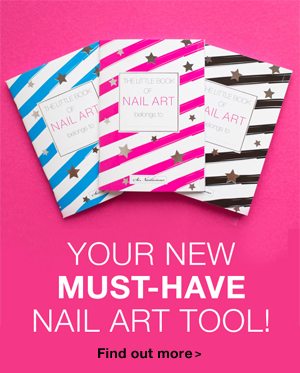 Nail Art: Perfect as a base for nail art or as a base layer for the glitter in glitter gradients. Extra comments: Note, as with any glitter polish, it’s a bit difficult to remove. You’ll need to use the soaking method. Disclaimer: products were provided by PR, opinions expressed are our own. Full disclosure policy can be found here. Overall Impression: A beautiful statement shade, a real eye candy! 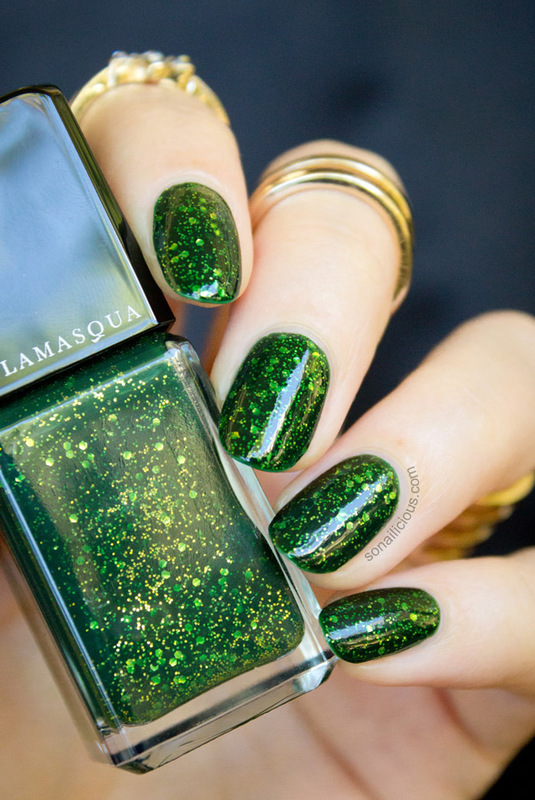 Whether you’re a glitter nail polish fan or just want to try something different for your nails, try Illamasqua Destiny – you’ll love it. Availability: $22.50, available now exclusively at Myer. How do you like Illamasqua Destiny? Did it change your opinion about green nails?